Small GTP-binding proteins such as Rho and Ras GTPase family members are involved in regulating cell signalling pathways and impact a wide range of cellular processes, functions, and morphology. In this post, you’ll discover two types of Small G-protein Activation Assays to easily measure the GTP-bound form of your protein of interest, as well as some tips for choosing between both solutions and finding the assays that fit best with your cell signalling experiments. The most prominent family of small G proteins is represented by the Ras superfamily of proteins. The Rho subfamily belonging to this superfamily consists of proteins like RhoA, Rac1, and Cdc42 involved in cell signalling intracellular events. In common with other small GTPases, this proteins act as molecular switches in cell signalling, by transmiting signals through downstream effector proteins by alternating between active GTP-bound and inactive GDP-bound states. They have been shown to be involved in many cell signalling events such as: the regulation of actin dynamics, thus playing a crucial role in processes like cell movement, intracellular transport, and organelle development. While RhoA affects actin stress fibers, Rac1 exhibits effects on lamellipodia and Cdc42 on filopodia. 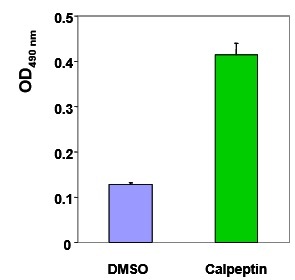 Traditionally, cell signalling and more particularly small G proteins activation has been measured with pull-down assays. Effector proteins which specifically bind to the activated forms of small G proteins and which are coupled to beads are used in these assays to pull-down the activated small G protein fraction from a cell lysate. 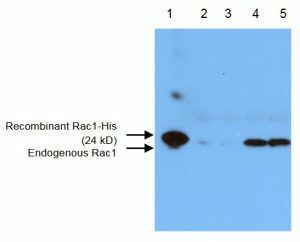 Finally, the results are obtained by Western Blot experiments (for typical results see Fig 1). Nevertheless, Cytoskeleton Inc. have developed an alternative – the G-LISA technology (see typical results in Fig 2): in this assay format the effector proteins which selectively bind to activated small G proteins are coupled to 96 well plates, making it possible to run an ELISA-like activation assay. How to choose the right assay format suited to your specific interest and your equipment? 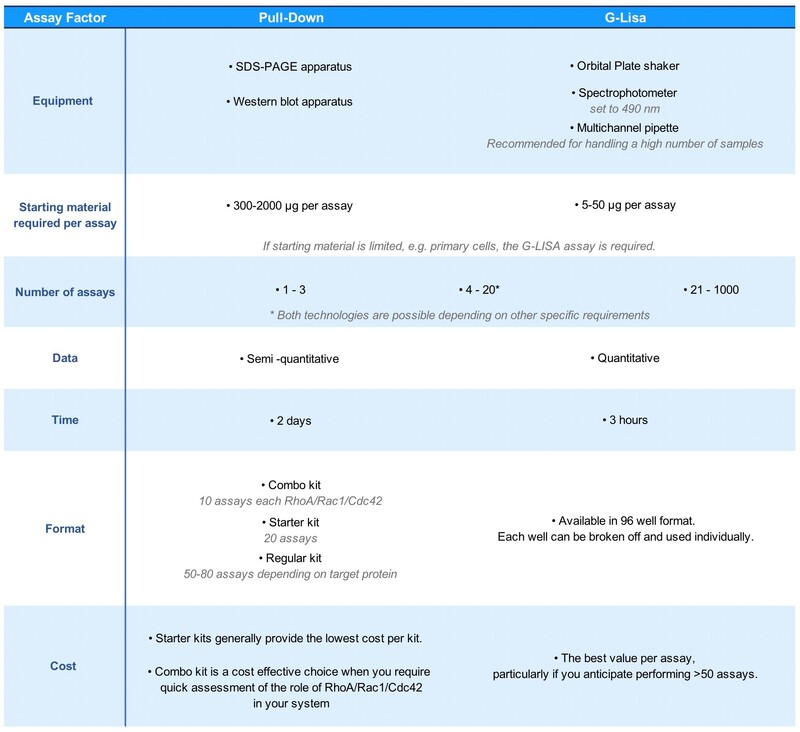 Cell signalling studies – Tips and points to consider when choosing your Small G Protein assay – tebu-bio – Cytoskeleton Inc. Which cell signalling pathway and small G proteins can be measured with these kits? Don’t hesitate to also visit our Small GTPase product guide to find others products suited to your applications. Need some help with choosing the right Small G-protein Activation Assays for your cell signalling studies? Contact our specialist through the comments form below with your questions.